In 2016 TP Automation was contracted to upgrade the flyash handling system at a local power plant. The plant was built in 1926 at a cost of approximately $30,000,000. At the time of it’s completion it was the largest fossil fuel generating station of its kind in the world, capable of producing over 400,000 horsepower and 766 Megawatts of electricity. The plant operated efficiently for many years and changed ownership several times. At its peak the plant also burned over 4,000 tons of coal a day. As the years went by this fact presented ownership with tough decisions regarding pollution control and the need to meet the increasingly stricter environmental standards. In 1985 electrostatic precipitators (ESPs) were installed at the plant, which reduced emissions and brought the plant into compliance with EPA standards. The ESPs operate by inducing an electrical current across the entire area of the flu gas discharge ducts, which in turn electrically charges the particulate and drops them out of the gas stream. The result is the removal of fine particles like dust and smoke from the flowing flu gas. The particles which are known as fly ash are collected and safely conveyed to a collection point. 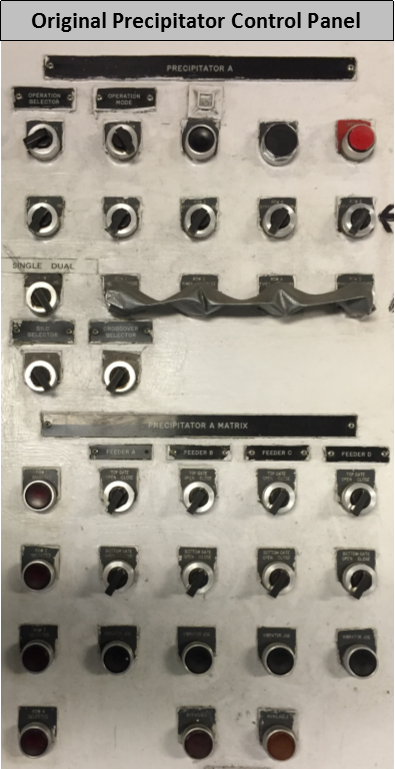 The system was state of the art at the time and utilized a Modicon 584 Programmable Logic Control System to operate the ash handling system. 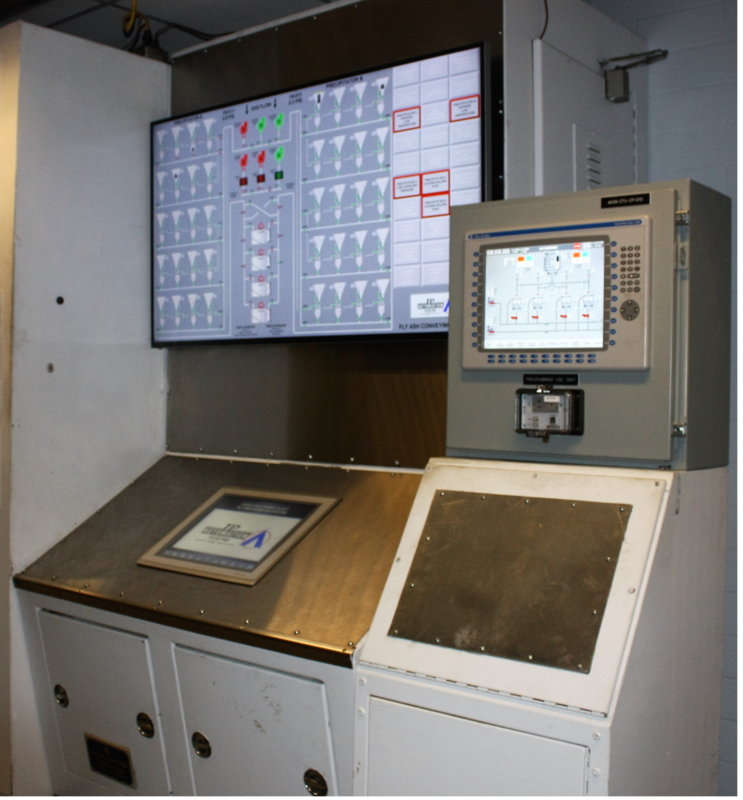 The Modicon also operated (2) large panel-boards, a control panel with indicator lights and switches and (2) annunciator panels. In 2012 the owner of the plant announced that the plant would be shut down by 2015 rather than invest hundreds of millions of dollars required to bring the plant emissions up to current EPA standards. Fortunately for the employees the plant it was purchased by another power company and in 2016 the owner installed new back-end controls to further reduce mercury, sulfur dioxide and particulate matter to meet the new Mercury and Air Toxic Standards. The project also included mechanical, electrical and control system upgrades to the entire Ash Handling System. 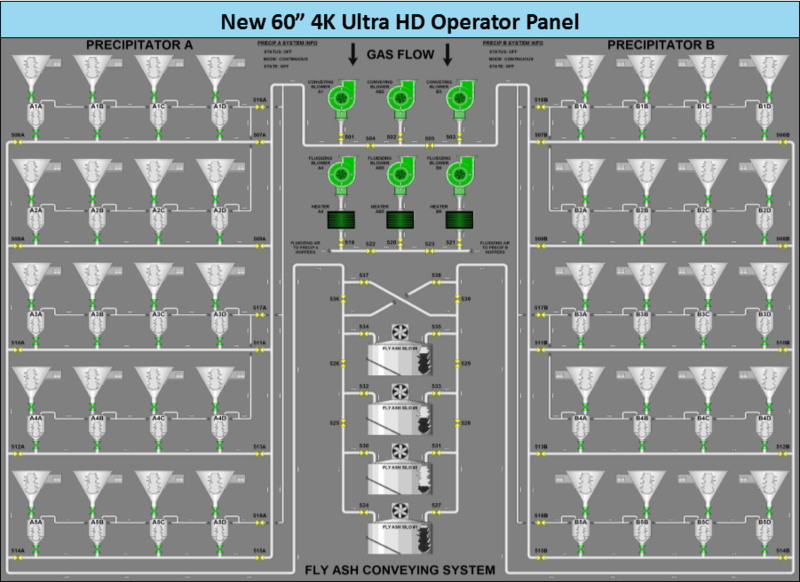 TP Automation was contracted to overhaul the existing ash handling control system. 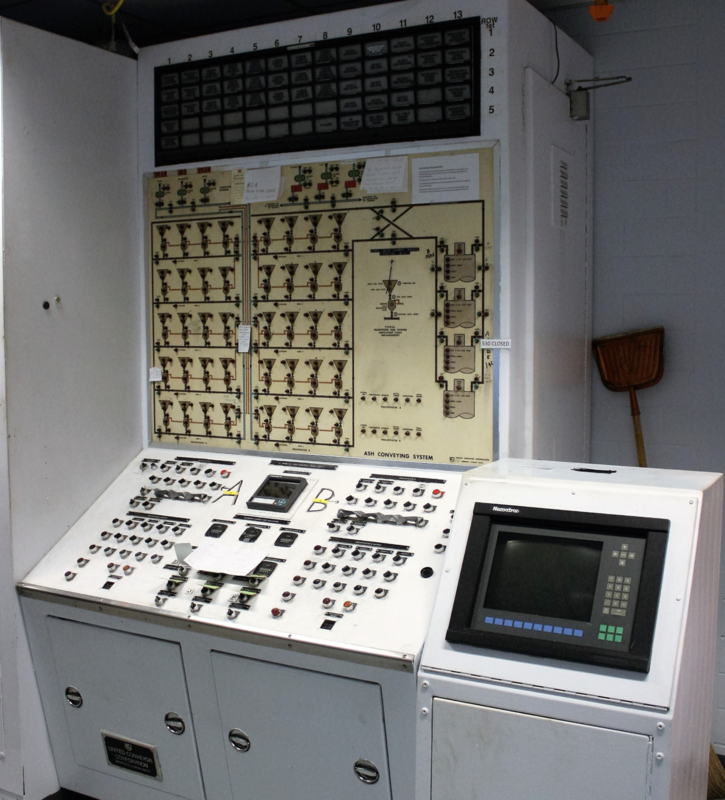 The scope of work included the demolition of the existing Modicon 584 PLC system which had been in operation since 1985, removal of all of the old I/O as well as the existing operator push-buttons, indicator lights, operator panels, panel-board displays, annunciators and unnecessary cabling. TP Automation would provide NRG with a complete replacement of the existing control system. 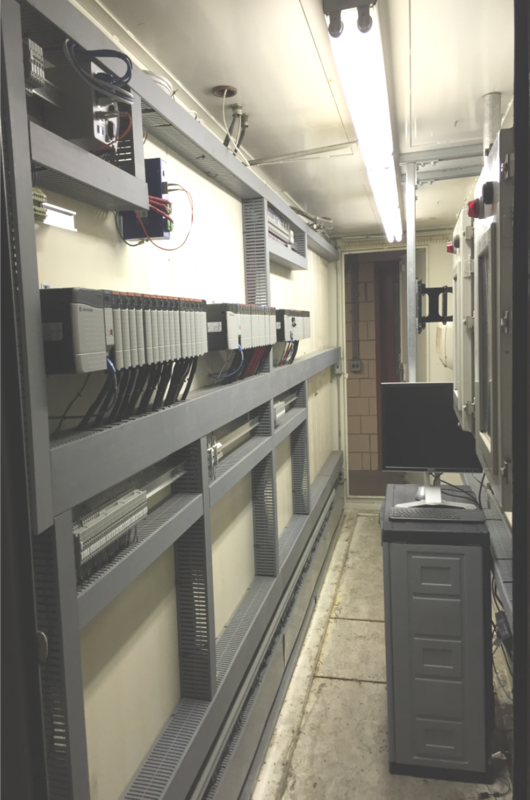 The heart of the new control system was an Allen Bradley ControlLogix PLC, remote I/O racks, (2) Allen Bradley Industrial Computers, (1) 19” Allen-Bradley PanelView+7 HMI and (2) 60” 4K Ultra HD displays. 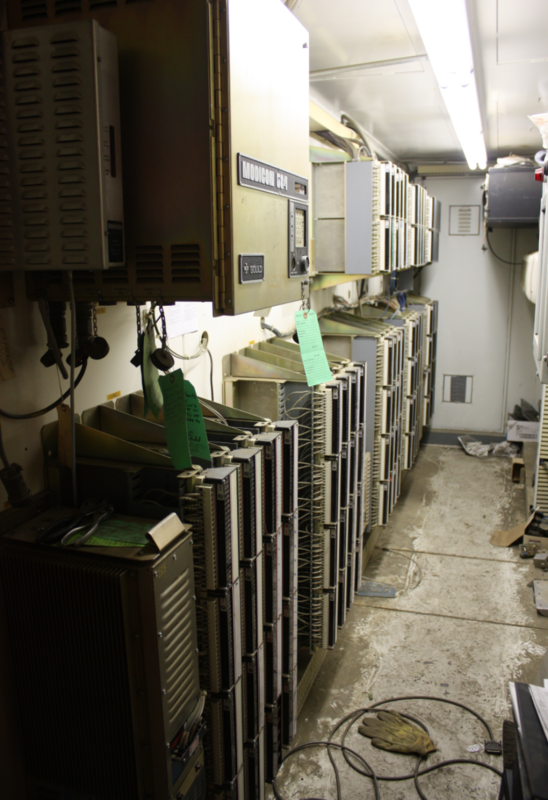 The 810 I/O points were distributed between I/O racks located in the Precipitator building, the DCS room and the Ash Silo area. Each rack is connected via a fiber optic link and communicates over Ethernet/IP. 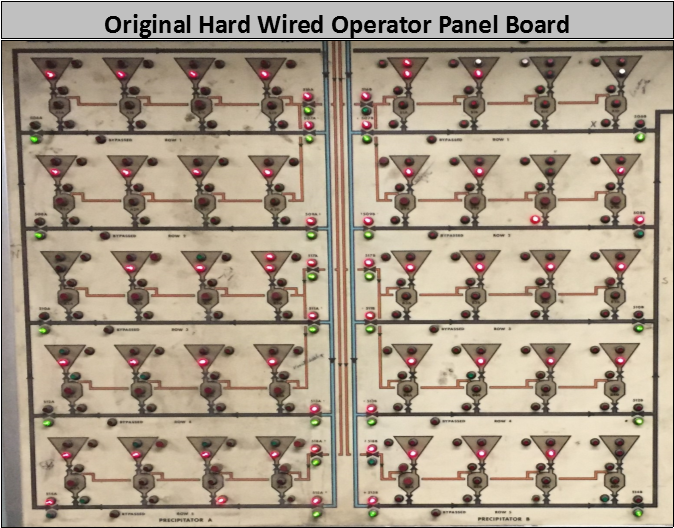 The original control system required over 2,100 I/O points to control and display the ash handling system, but by utilizing the Allen Bradley PLC, a 19” PanelView+7 HMI and by displaying the complete system and annunciation via the (2) 60” monitors we were able to reduce the I/O count by 60%, thus saving NRG money and space, not to mention the better and more efficient control of the ash handling system. The project took place during an outage in the Spring of 2016. The outage began on February 22nd and was completed on May 20th. TP Automation received their PO on March 1st and had people on-site the same day. 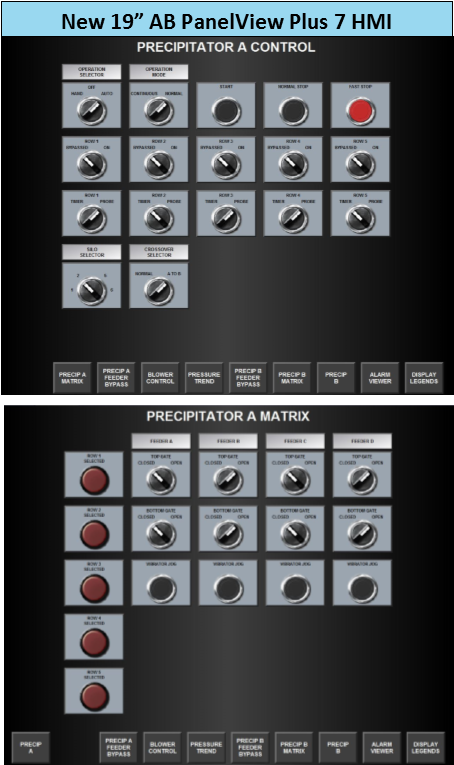 The following pages show the original ash control system, operator interfaces, control panels and the new, upgraded equipment.